A computer is learning to understand your emotions by examining the shape of your lips, according to research published in the International Journal of Artificial Intelligence and Soft Computing. Karthigayan Muthukaruppanof Manipal International University in Selangor, Malaysia, and co-workers have developed a system using a genetic algorithm that gets better and better with each iteration to match irregular ellipse fitting equations to the shape of the human mouth displaying different emotions. They have used photos of individuals from South-East Asia and Japan to train a computer to recognize the six commonly accepted human emotions—happiness, sadness, fear, angry, disgust, surprise—and a neutral expression. The upper and lower lip is each analyzed as two separate ellipses by the algorithm. It is well known that many deeper emotions are betrayed by more than movements of the mouth. A genuine smile for instance involves flexing of muscles around the eyes and eyebrow movements are almost universally essential to the subconscious interpretation of a person's feelings. However, the lips remain a crucial part of the outward expression of emotion. The team's algorithm can successfully classify the seven emotions and a neutral expression described. SF fans feel strongly about computers that understand emotions. 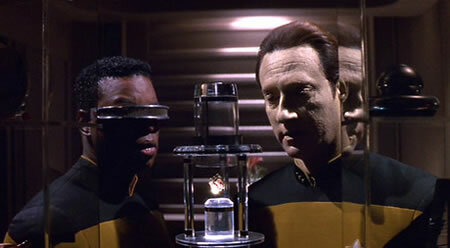 Star Trek: The Next Generation's Commander Data made use of an emotion chip to actually feel emotions himself, which helped him understand his human coworkers and friends. Arthur C. Clarke's HAL 9000 was also pretty good at determining emotions (mostly through voice harmonics). But HAL could also read lips. XPod does a reasonable job of automating music choice for a user's activity. The application picks up on ... a user’s expression from the camera. The basic idea is that we betray our feelings as we chat to each other in social media like Twitter and Facebook.